Our very own Sam Saccone and Ryan Coughlin competed last weekend in Boston at AngelHack. They had 24 hours to build a product and demo it to the judges. That product was Snowcast. The rules allowed competitors to work on designs beforehand, while all of the code had to be written the day of the competition. 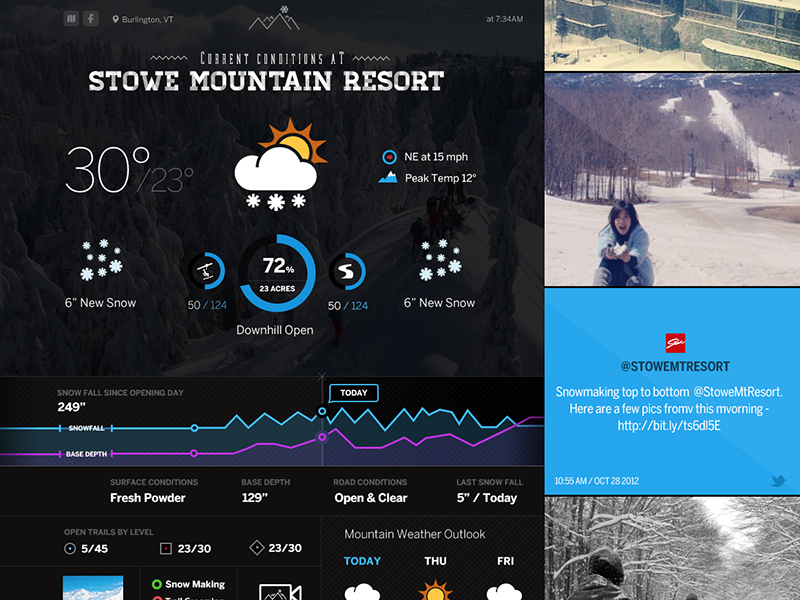 Snowcast is a location based snow report app. that focuses on the data a skier or boarder cares about the most before they head out to the mountain; in a beautiful fashion. The product will be pushed to web, iOS, and Android platforms. Mobile will include trail tracking and other real-time metrics. Snowcast also caters to resorts by allowing them to easily customize their own mountain report (with the ability to display promoted deals/offers) which they can then embed onto their website. After giving their pitch to the judges, Sam and Ryan were chosen as the winner of the event. They will head to San Francisco to compete for the National championship in January. Wish them luck!